Voice-recognition software is nothing new. But put it on a smartphone, and it comes to life. All of the frustrations of trying to control your PC by voice--fiddling for a microphone, repeating yourself again and again, resisting the urge to relent and turn to your trusty keyboard--are eliminated when you use the same technology on your mobile phone. And it's becoming more popular all the time, thanks in large measure to the improved speech recognition capabilities of today's mobile phone platforms, such as Google's Android and Apple's iOS. But that's not the only factor behind the uptick in mobile voice recognition, says Tuong Nguyen, principal research analyst with Gartner. He cites the demand for improved user interfaces, especially from users who don't want to rely solely on a touchscreen to interact with their phone. In addition, the increasing prevalence of laws restricting the use of cell phones while driving has fueled demand for these voice-based apps, Nguyen says. Bluetooth headsets allow drivers to talk hands-free, but many people want access to e-mail and text messages while driving, too, he notes. Luckily, plenty of apps provide such access--and more. Here's a roundup of some of today's best voice-recognition apps for your phone. Google Search App for BlackBerry. Whatever platform you're on, you can give your fingers a rest with one of Google's Mobile Apps. Whether you use the Google Quick Search Box on Android, the Google Mobile app for the iPhone, or the Google Search App for BlackBerry, the application lets you access the goodness of Google with the power of your voice. Search the Web, your contacts, and more without lifting a finger. Why it's worth checking out: It's Google, duh. 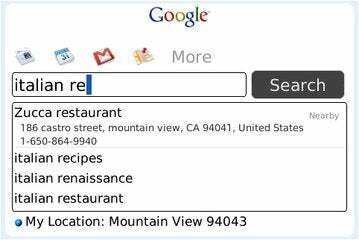 Microsoft's Bing search engine can be used with voice-recognition software and has a good-looking interface. Google isn't the only search engine in town--and it isn't the only one that delivers mobile searches powered by voice, either. Microsoft's Bing does it, too, with the same elegance that the desktop Decision Engine delivers. Why it's worth checking out: Bing's mobile app has a fluid, elegant interface, and it looks even better without your paw prints all over the screen. 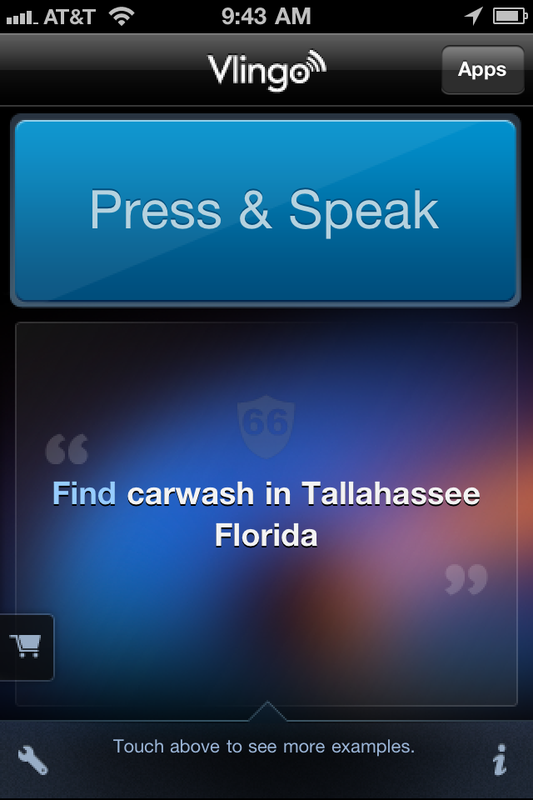 Personal assistants are not just for the rich and famous: In virtual form, they're also available to smartphone users. With versions for Android, iOS, and other platforms, the Vlingo app does your bidding, whether you want it to update your Facebook status, fire off a text message, or search the Web. Why it's worth checking out: As MC Hammer--who is quoted on Vlingo's iOS App Store page--says, "Vlingo is dope." The Siri Assistant voice recognition app focuses on getting things done for you. Too busy to type? Turn to Siri Assistant, a virtual personal assistant that resembles Vlingo but is more focused on such tasks as finding restaurants, making reservations, locating theater tickets, and booking taxis. 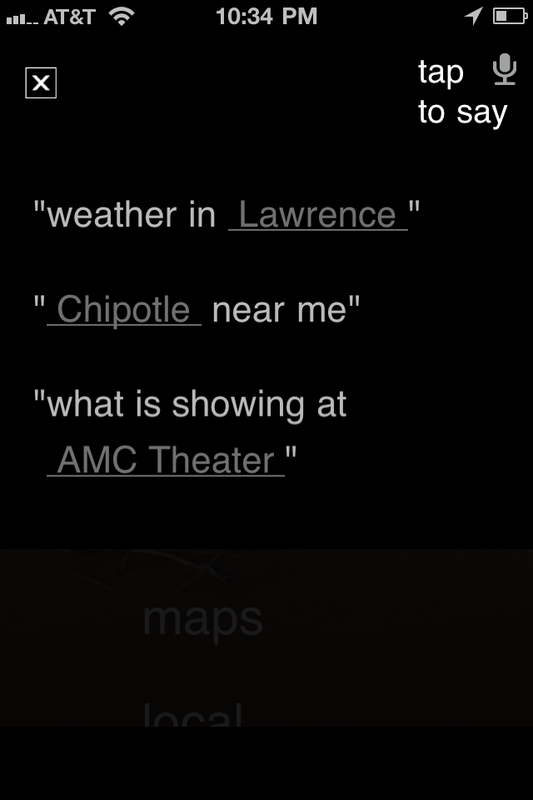 And just like a human assistant, Siri Assistant learns more about your personal preferences over time. 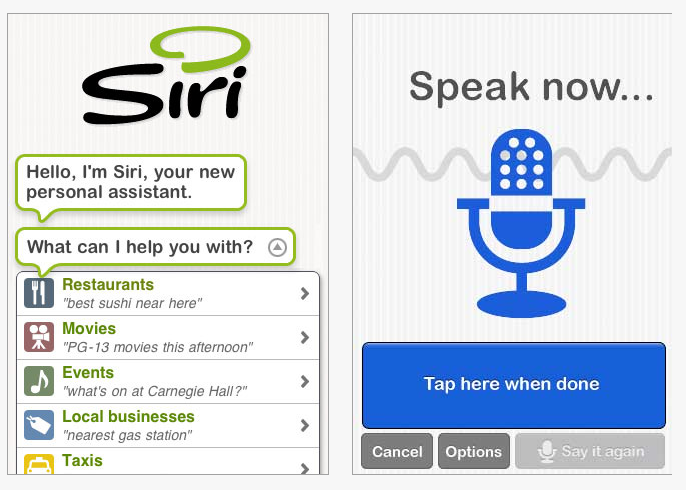 Why it's worth checking out: Apple purchased Siri back in 2010. Clearly, Steve Jobs sees something he likes here. 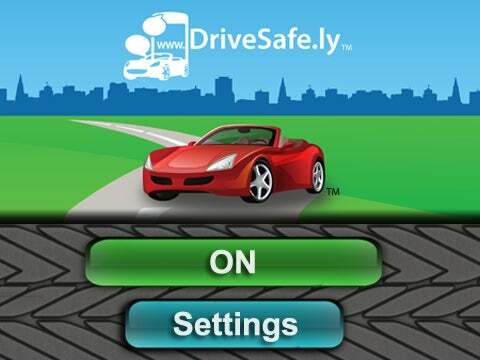 The DriveSafe.ly Pro app reads incoming text messages to you. You can compose and respond by voice. Why it's worth checking out: The app's name pretty much sums its raison d'être: Texting by hand while driving is not a good idea. Nuance's popular line of Dragon voice-recognition software has gone mobile. 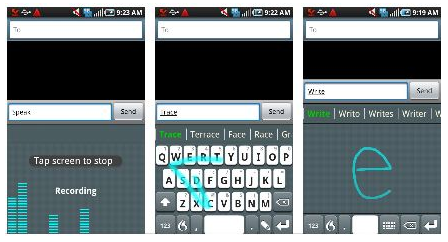 The company offers various mobile apps, including Dragon Dictation (free), which lets you control many functions of your iOS device by voice; Dragon for Email (free), which enables BlackBerry users to compose and send messages by voice; and FlexT9 for Android ($4.99), which lets you choose your preferred method of input--speak, trace, write, or tap--based on your current needs. Why it's worth checking out: Nuance's Dragon line of software has set the standard for PC-based voice recognition. If you're looking for a company that knows voice products, look no further. 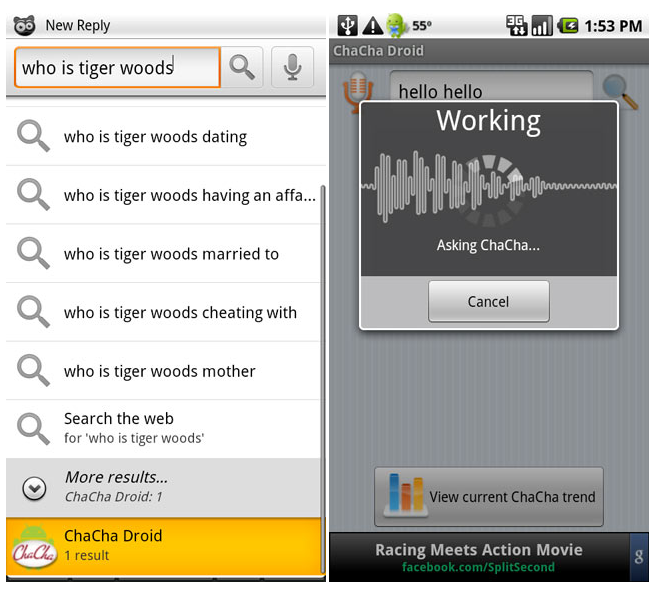 The ChaCha app for Android phones provides quick answers to your verbal questions. Search engines are great when you're looking for a wide swath of information. But if you have a narrowly specific question, digging through multiple pages of results looking for a simple answer is counterproductive. That's when you need ChaCha Answers, a question-and-answer service that provides quick answers to your pressing questions. Why it's worth checking out: It can tell you how much you'd weigh on Saturn--in case you were wondering. Speak in one language and have your words translated into another with the Jibbbigo Voice Translation app. What good is talking if your intended audience can't understand what your saying? Enter Jibbigo. This two-way translation app for Android and iOS listens as you talk in one language, and then translates your words into another language. 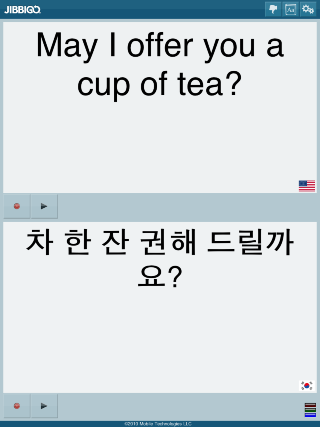 It's available in eight different language pairs, including English, Filipino, French, German, Japanese, Korean, Mandarin Chinese, and Spanish. Why it's worth checking out: We've heard your German accent, and it's terrible. Our advice: Stop talking and let Jibbigo speak for you.